THE series finale of SONS OF ANARCHY showed its main protagonist Jackson "Jax" Teller (Charlie Hunnam) attempting to tie up as many loose ends as he can before accepting his own fate in the final minutes of the series. 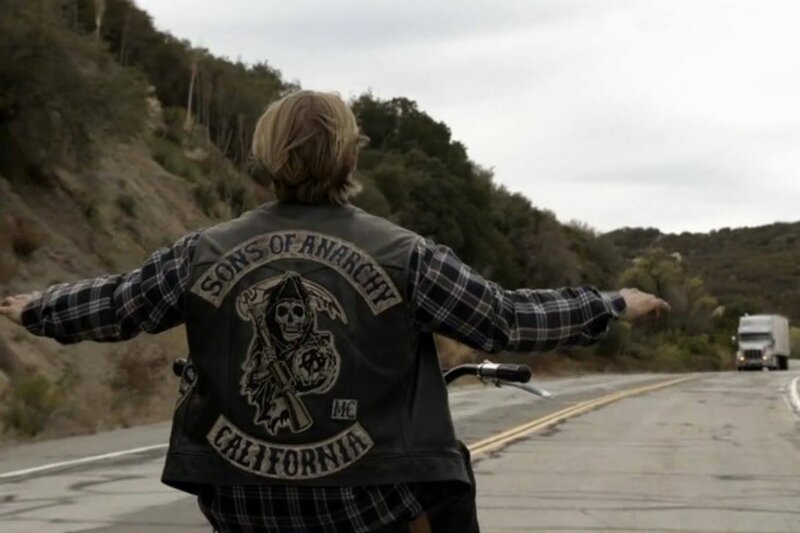 Part of the Californian chapter of the titular Sons of Anarchy motorcycle club, Jax’s journey in the final episode is reminiscent of his situation in the pilot of the series. He rides his motorbike towards two crows pecking some bread in the middle of the road, he scares them out of the way, content with his current situation; a similar scene with a different outcome in the finale. SONS OF ANARCHY contains glaring parallels with William Shakespeare’s HAMLET (1603) and these are littered throughout, from similar themes of tragedy and consequence and episode titles, to plot lines which places Jax as Hamlet himself. SONS OF ANARCHY follows Jax as he tries to steer the outlawed motorcycle club in the right direction, away from illegal gun racketeering and into more legitimate business. After reading the diary of his deceased father and former Club President, John Teller (Nicholas Guest), Jax begins to see the cracks forming in a club he holds dear, much like his father before him. John Teller is brought to life in the show by the aforementioned diary, which Jax often reads from; the diary provides narration throughout the show until Jax himself begins penning his own memoirs of his time as part of the club with the hope that his children will read it and decide not to follow in their father’s footsteps. Throughout the series, and right up until the final moments of the series finale, Jax not only questions the direction of the club, but also himself. His journey as a club member, club president, father and husband ultimately finds the troubled outlaw contemplating each decision he has made in these roles and whether he can ever function as the father his children need him to be and a criminal when the club deems it necessary. He notes in his own journal that “A good father and a good outlaw can’t settle inside the same man”. His realisation that his journey as part of the club is not too dissimilar from that of his father begins to show in the closing season as his relentless mission to shift the club into more legitimate business ventures ultimately leads to further bloodshed than ever before. The finale of the series focuses on Jax’s realisation that he has travelled an almost identical road to his father, a road of tragedy and loss. He has found himself unwittingly at the centre of each fatality throughout the series, concluding with Jax’s quest for redemption. In the closing scene, Jax lets go of the handlebars of his motorcycle and raises his arms as he veers into the path of an oncoming truck. He is content again as he was in the pilot episode and closes his eyes with a smile on his face. Two crows can be seen once again pecking bread. This time, however, the crows don’t move. The sound of a crash can be heard and a trickle of blood enters the shot; Jax has found the redemption that he has been searching for since the beginning of the series.